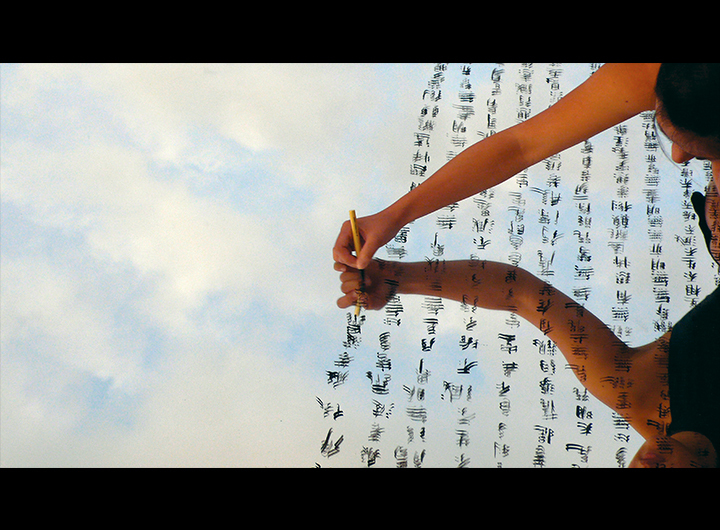 The Heart Sutra was written onto a mirror reflecting the changes in the sky. 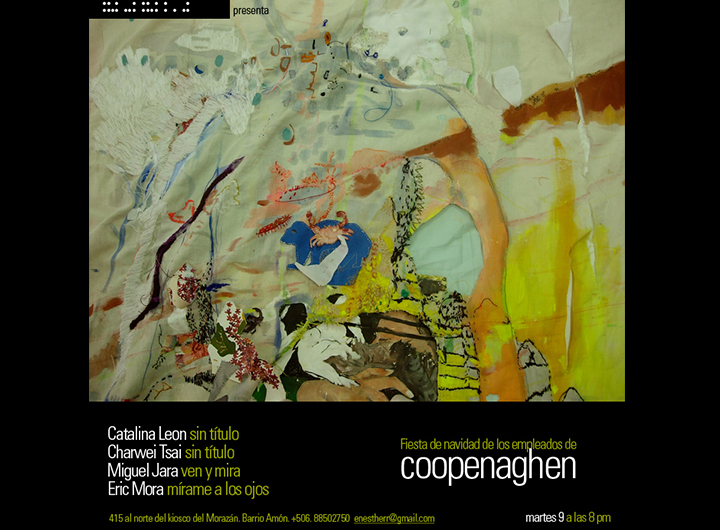 Tsai was invited by artist Federico Herrero to make a work at his art space in Costa Rica. 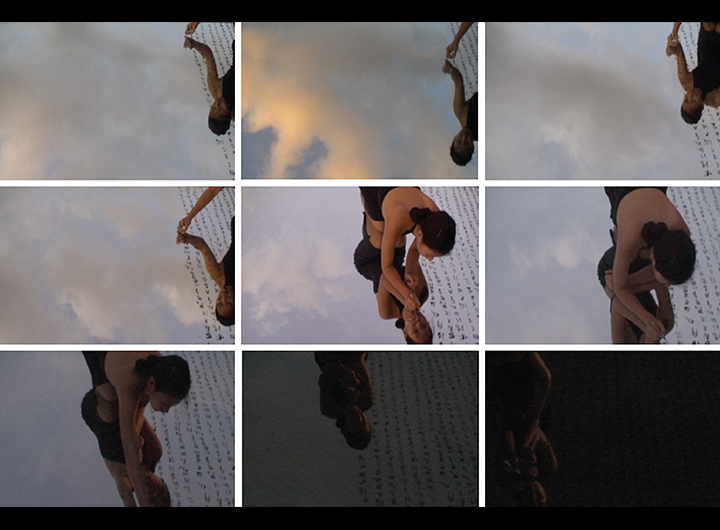 The process of making this work was then documented and projected as a video installation onto the outdoors terrace floor. Special thanks to Federico Herrero and Glorianna.